Spooky ghostly cloud all day long. My pen shall heal, not hurt. LONDON (Emirates Stadium)─Ahead of the 1st January 2014 opening of the mid-season transfer window, Arsenal FC are reported to have done some brisk business by signing two new players. 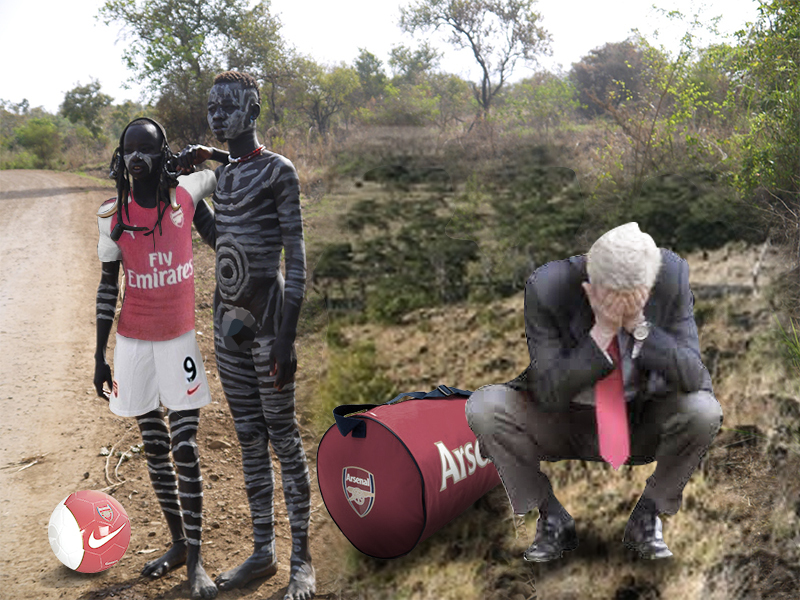 According to the club, Arsenal manager, Arsene Wenger used the opportunity of the recent international break to scout for new prodigious talent in some remote region of the world that has yet to be touched by civilisation. After breaking the bank to sign the £42 million Mesut Ozil, Arsenal are said to be going back to their old ways of thrift spending on transfers. When asked by reporters where Wenger managed to find these new players, Gazidis declined to give a location. “I’m sorry we couldn’t possibly disclose that information on where the guys were plucked from,” said Gazidis. The Arsenal manager was taken to task by reporters on his new extreme transfer policy. At post time the two new Arsenal signings are said to have been rushed to the Whittington Hospital, North London. Reports have it they have been diagnosed with diarrhoea and chronic home sickness.